Wondering where to take beautiful pictures that capture the essence of your visit to Guam? We think Guam is photogenic from every angle but here are a few #InstaGuam spots around the island that our visitors love. Two Lovers Point, or Puntan Dos Amantes, is without a doubt one of Guam’s most iconic sites. Every year, hundreds of thousands of visitors are drawn to the towering cliff that is the site of one of Guam’s most renowned and romantic legends. 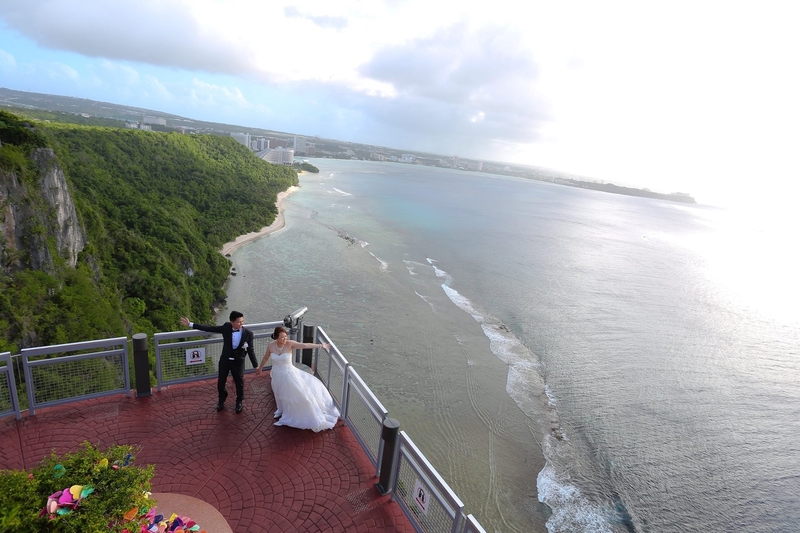 The site features tiered lookout points that offer a dramatic view of the Philippine Sea and breathtaking Tumon Bay. From the top, it is a 400-foot drop to the crashing waves below. Visitors can walk the plunging face of the cliff on walkways that hug and hang over the jagged rock. There are also telescopes for long range views of the ocean and Guam’s western coastline. No visit to southern Guam would be complete without stopping at Fort Nuestra Señora de la Soledad, or Fort Soledad. It is the last fort standing of four that were built around Umatac Bay in 1810 and it is named for Our Lady of Solitude. Fort Soledad provides a superior view of the village, the picturesque bay and coastline, and the southern mountain range. Fort Soledad is one of the most visited places in southern Guam and is an icon of the island’s Spanish-era history. You can explore many of the village’s historical sites on a walking tour of Umatac. One of the most well-known scenic points and popular stops along the southern route is the Cetti Bay Overlook. Poised high above the surrounding foothills and Cetti Bay, the overlook provides a perfect island backdrop for vacation selfies and family photos. Cocos Island, which lies off the coast of Merizo village, can be seen in the distance. Because of its cultural and historical significance, Cetti is on the Guam and National Registers of Historic Places. It’s also a great spot for sampling fresh coconut from the stand at the entrance to the overlook. With vibrant reef systems, fascinating marine life, and warm temperatures year-round, Guam offers some of the best snorkeling in the world in easy to access spots that are just a few feet from the sand. Ypao Beach in Tumon is one of Guam’s snorkeling paradise spots and offers a myriad of colorful tropical fish and coral heads to be observed and explored beneath its clear turquoise waters. Ypao Beach is part of a free public park that features open grassy areas, picnic tables, lifeguards and facilities – a great spot for a family outing. Cap your day with an epic sunset on the beach photo with Two Lovers Point in the distance. In recent years, large-scale wall murals and vibrant art depicting local culture have popped up on the walls of businesses around the island. These colorful scenes have been painted by Guam and international artists as part of the Guam Art Exhibit in collaboration with a global network of artists and organizers as part of a traveling mural festival. 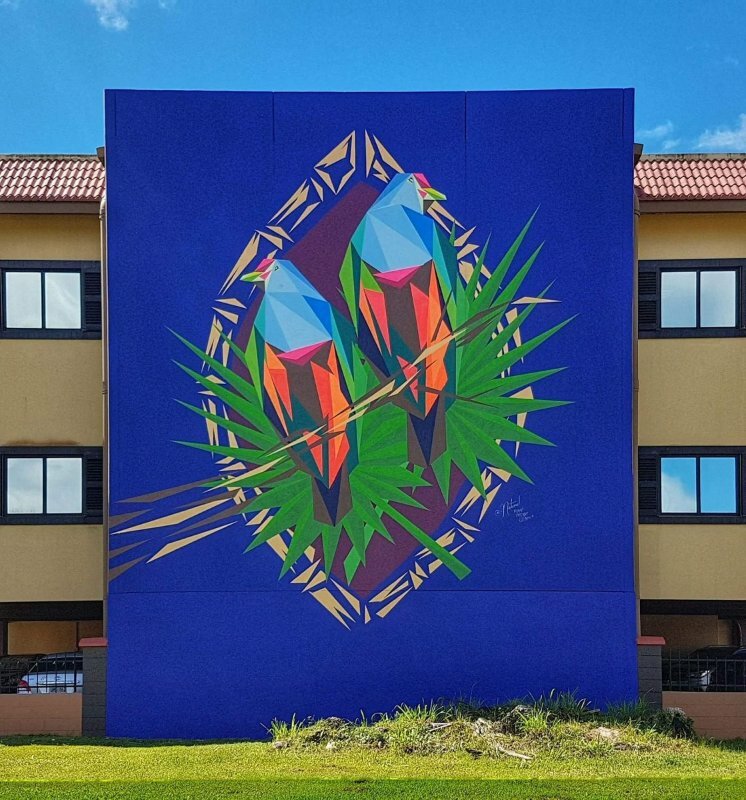 Some of the murals feature indigenous birds such as the beloved Ko’ko (Guam Rail) and Mariana Kingfisher, as well as dreamy, thought-provoking murals of Chamorro people that were painted by some of the world’s renowned mural artists. In the southern village of Inarajan, San Jose Avenue is known for the Hotnu Bakery and the paintings by local artist Judy Flores that adorn the houses along this historical street. Throughout the island, you can find village murals and bus stops painted by the local community that feature Guam cultural scenes and elements. Upload your photos and videos of Guam to instaguam.visitguam.com today! We’ll choose our favorite and share them with the world - you may even have a chance to win $100!